Chairman of the National Nine Mornings Committee Michael Peters is calling for local artistes who produce parang music to stick to the Christmas script. Peters told SEARCHLIGHT on Wednesday that many soca artistes, calypsonians and other singers are making the transition with their music from Carnival to Christmas, but when they do so, they are not leaving Carnival behind. He said that The Nine Mornings Committee will prefer not to see the Nine Mornings Festival move into something resembling a second Carnival as the committee has been working very hard to make the festival a unique Vincentian Christmas tradition. “While we have welcomed and supported the involvement of our Soca artistes and Calypsonians providing music for the festival, we just hope that they would be reminded that it is Christmas and you can’t get around it because Christmas is the celebration of the birth of Christ and so Nine Mornings is the celebration that comes out of that, so when doing songs for the season we must be mindful of that,” Peters stated. The committee chairman said artistes will continue to be encouraged to provide music that fuels the festival. “You can sing about Nine Mornings and Christmas in St Vincent and the Grenadines. 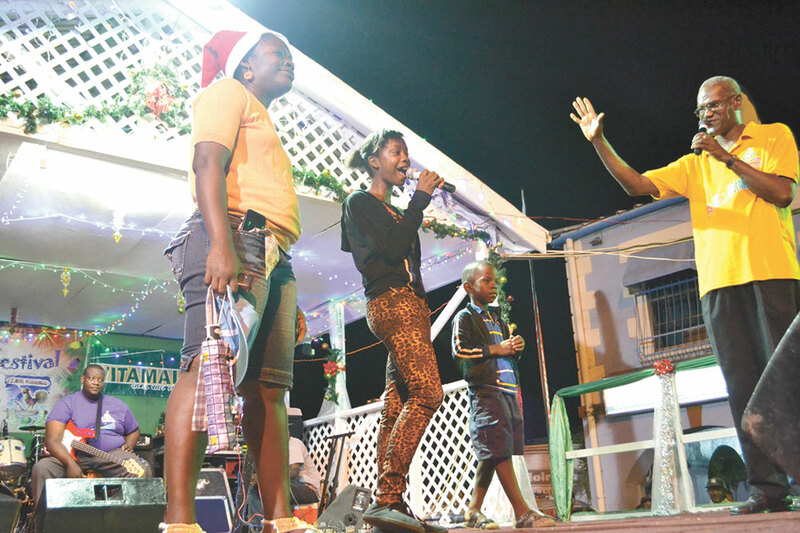 Sing about the spirit and meaning of the season, but leave the Carnival flavour behind, that’s for Carnival,” reiterated Peters who noted that quite a few parang songs have been released for 2018. He said some of these songs he would not encourage on stage this season because they include lyrics about “give me the pork”, which he said is “suggestive” and “lewd”. Peters said the Nine Mornings Festival caters to everyone, young and old, Christian or non-Christian, so the committee is hopeful that artistes will be very supportive of what they are trying to do. He said several of the artistes have been spoken to and as a means of encouraging them,there is a competition for the best locally produced Christmas song. Peters said that for the last few years, the Nine Mornings song competition was won by the song that was the most popular on the radio and for obvious reasons some artistes would get more airplay than others. He said that they have been looking at that and as a result, they have now split the competition into three categories, most popular Christmas song, most popular Nine Mornings song and most popular radio song. Peters said that he is encouraging local artistes to use their talent to produce music more respectful of the season and he thinks that they understand him. Popular parang artistes include Rondy ‘Luta’ McIntosh, Carlton ‘CP’ Hall, Shaunelle McKenzie, Delroy ‘Fireman’ Hooper and The Bowmans.